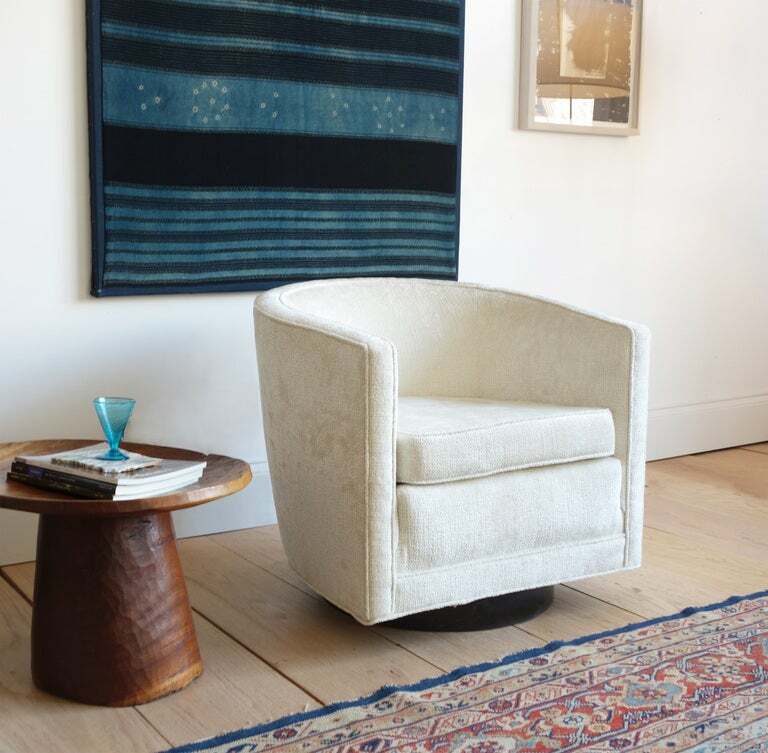 “Edward Wormley…sees furniture as varied and delightful expressions of personality…This is furniture in anyone’s language, full of understandable homilies like comfort, warmth, character…” from Dunbar: Fine Furniture of the 1950s. These barrel-back swivel chairs have been recently reupholstered, and retain their original tags. 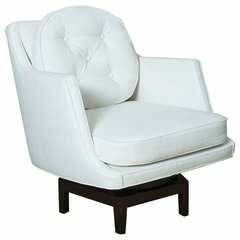 Comfortable, classic, elegant, and eminently adaptable. 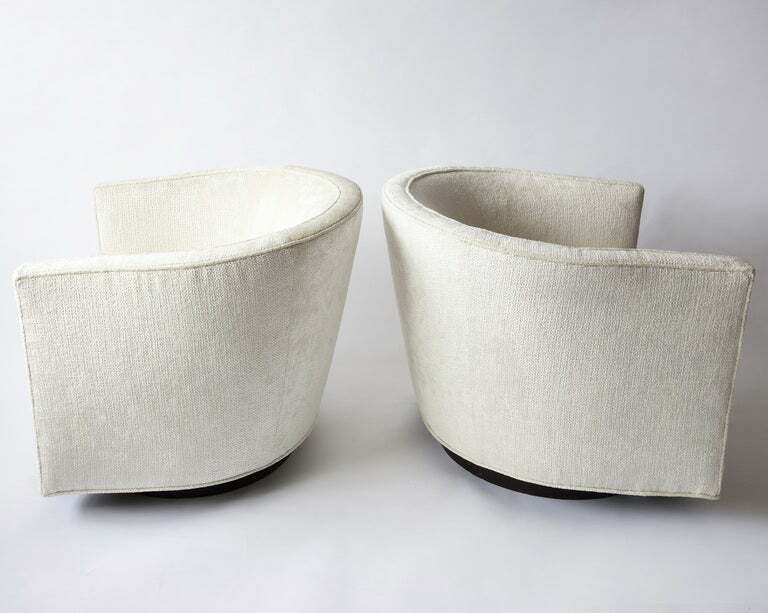 A pair of swivel chairs on walnut bases designed by Edward Wormley for Dunbar. 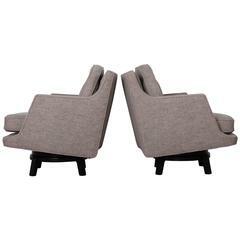 A pair of swiveling lounge chairs on mahogany bases. 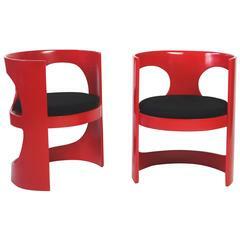 Designed by Edward Wormley for Dunbar. 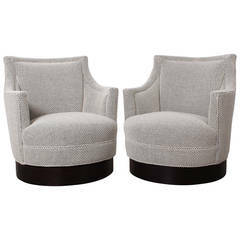 A petite pair of early swivel chairs on walnut bases upholstered in Maharam Monks wool. 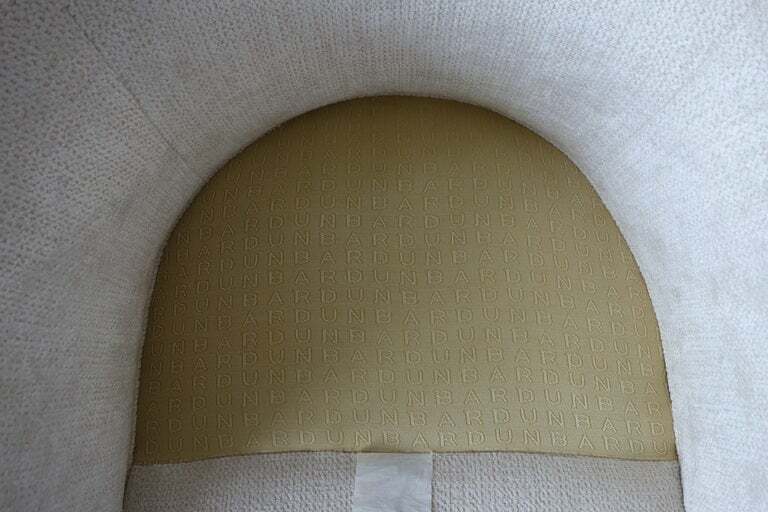 Designed by Edward Wormley for Dunbar. 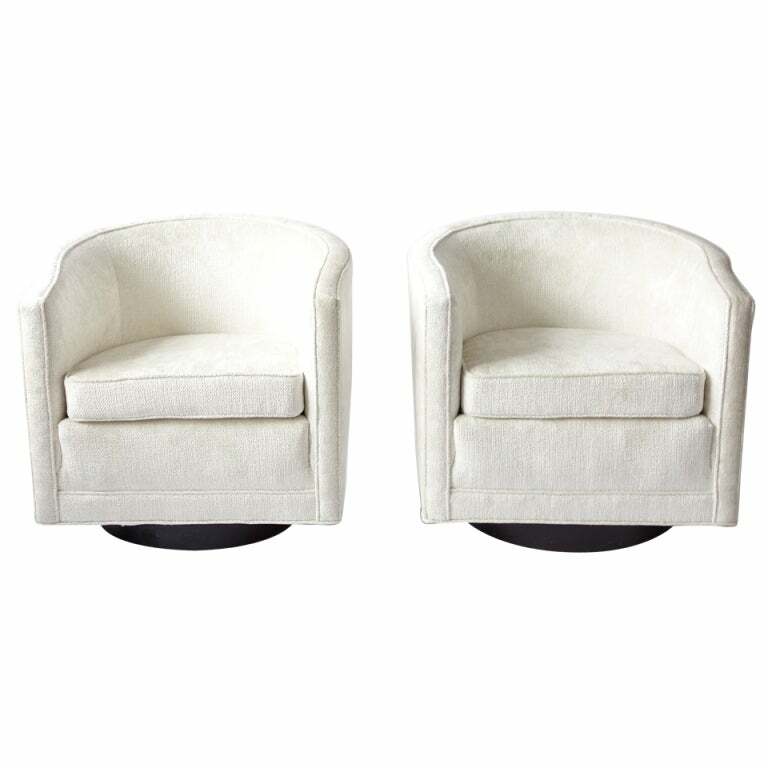 Edward Wormley swivel lounge chairs for Dunbar. This pair has been professionally restored. A large-scale pair of swivel chairs on mahogany bases. 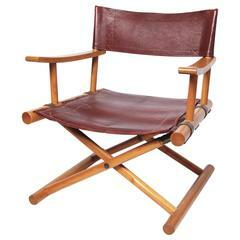 Designed by Edward Wormley for Dunbar. 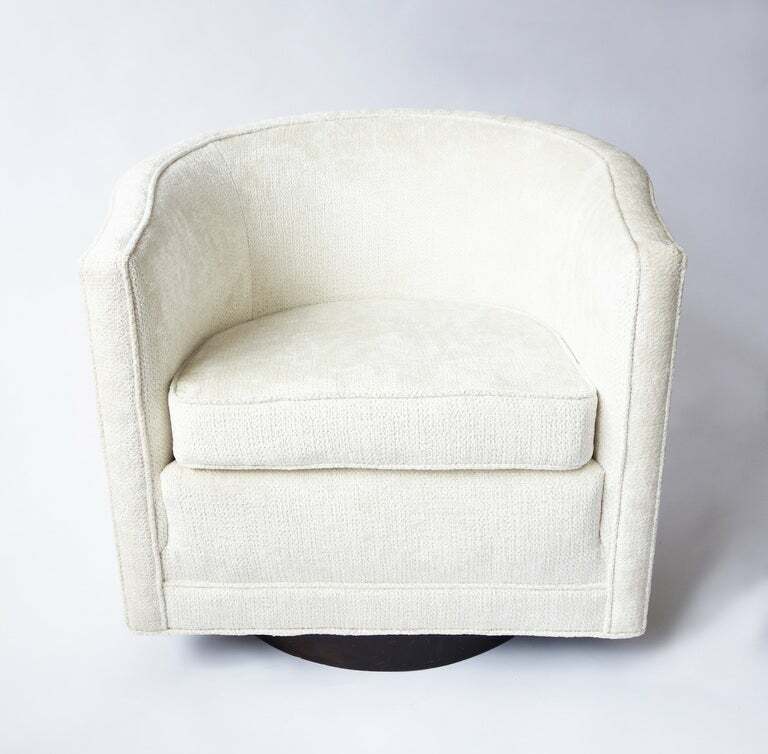 Fully restored and upholstered in Knoll wool. 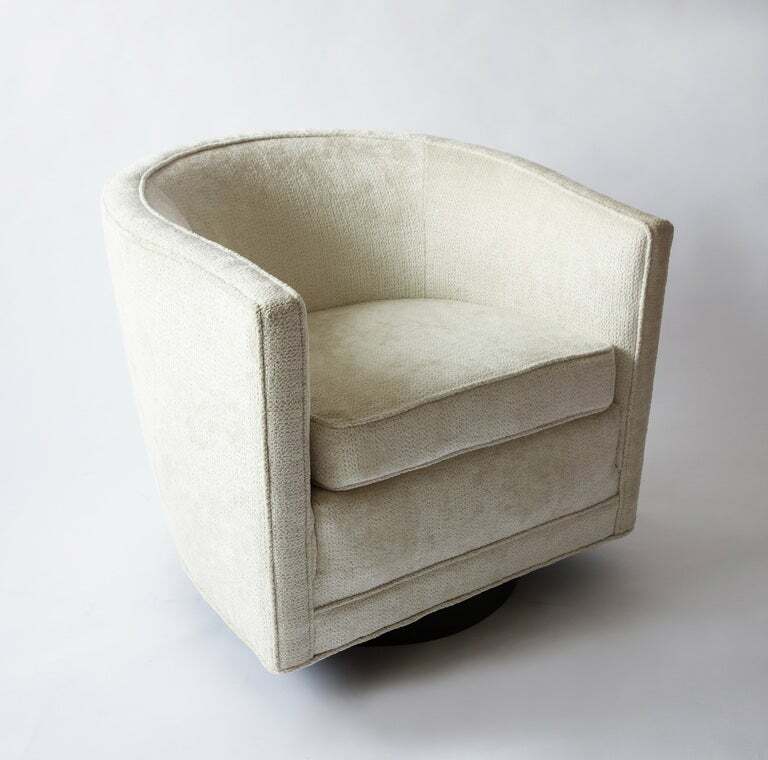 Swivel chair designed by Edward Wormley for Dunbar. 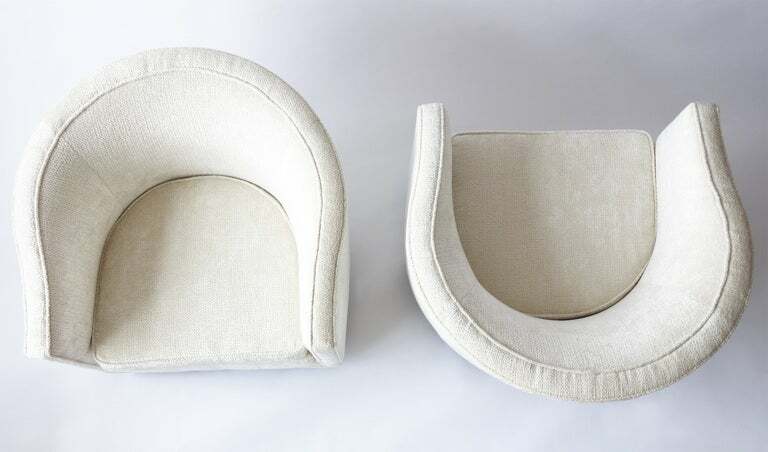 Walnut swivel base with original fabric. 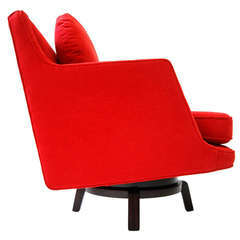 A swiveling lounge chair on mahogany base. 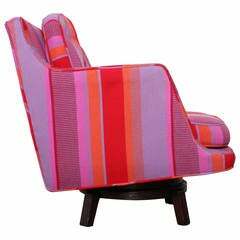 Designed by Edward Wormley for Dunbar. 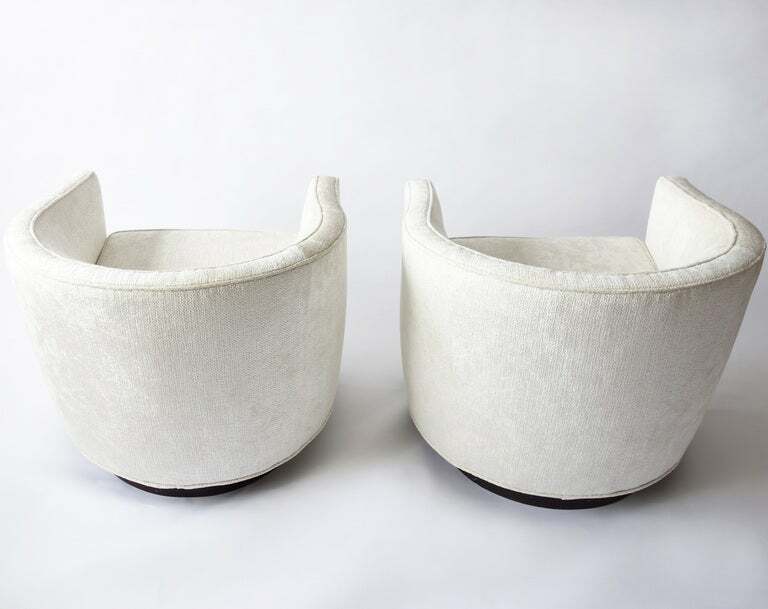 Ottoman available separately.